Historical Marker #1264 in McLean County notes the namesake of the town of Rumsey. Kentucky claims strong ties to the steamboat. Early innovator John Fitch lived his last years in Bardstown, and Fulton and Livingston counties were named for famous steamboat partners Robert Fulton and Robert Livingston. In 1811, their vessel, the "New Orleans," was the first steamboat to travel on the waters of the Ohio River and dock at Kentucky's river cities. Another steamboat innovator, James Rumsey, is the namesake for the town of Rumsey in McLean County. 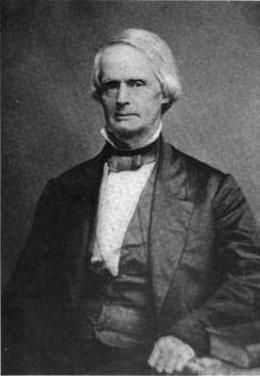 Rumsey's connection to Kentucky was that his nephew, Edward Rumsey, who served as a Whig congressman for the state's second district, had the town named in his uncle’s honor. Rumsey is located on the Green River and was founded in 1834. 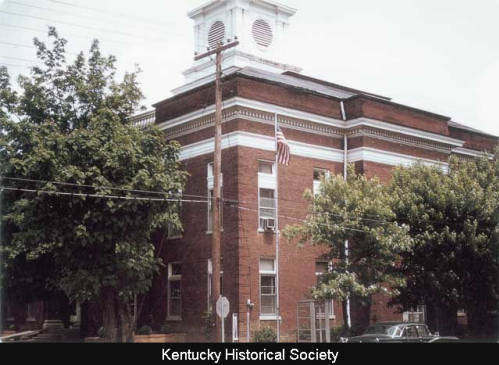 It was established across the river from the county seat of Calhoun, which emerged before Rumsey. The Green River proved to be a viable commercial artery for smaller-sized steamboat traffic. Installation of a series of dams and locks further improved navigation. Throughout the nineteenth century steamboats on the Green River carried farmers' agricultural products and coal from the western coalfields of the state. James Rumsey, like John Fitch, preceded the more famous Fulton and Livingston team as steamboat innovators. Rumsey tested his model on the Potomac River at Shepherdstown, Virginia, in 1787. Fitch had tested his prototype a few months earlier in Philadelphia. Shortly after his experimental run, Rumsey moved to England to attempt to secure financial backing and a patent. Unfortunately, Rumsey died while there in 1792. Like fellow steamboat innovators Fitch, Fulton, and Livingston, Rumsey did not live to see the impact that his innovative work had on transportation history and American culture. Edward Rumsey: Edward Rumsey, pictured here, had the town of Rumsey named in honor of his uncle, early steamboat inventor, James Rumsey. Image in the public domain. 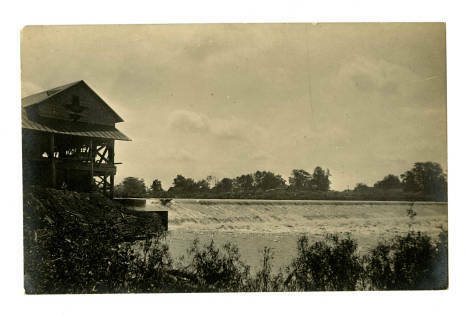 Green River: This photograph shows a dam on the Green River near Rumsey. Courtesy of the Kentucky Historical Society. 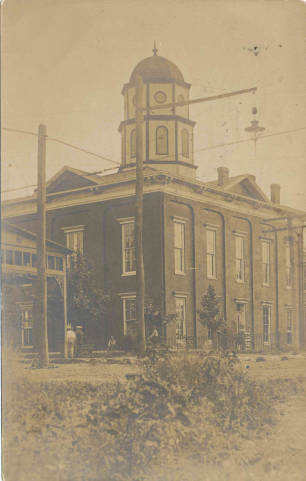 McLean County Courthouse: This historic photograph shows an earlier image of the McLean County Courthouse. Courtesy of the Kentucky Historical Society. McLean County Courthouse: The McLean County courthouse in Calhoun is shown here. Calhoun is just across the Green River from Rumsey. Courtesy of the Kentucky Historical Society. 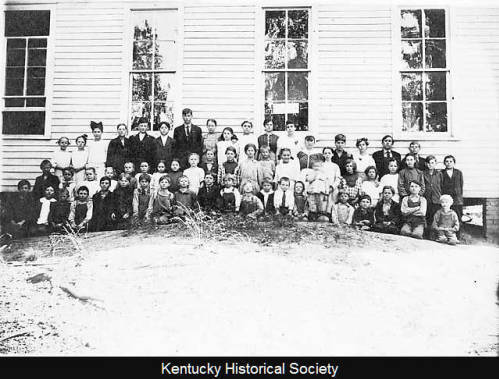 Knobb School: The students of the one-room Knobb schoolhouse in Rumsey pose for a photograph in 1915. Courtesy of the Kentucky Historical Society. Tim Talbott, “Rumsey,” ExploreKYHistory, accessed April 22, 2019, https://explorekyhistory.ky.gov/items/show/463.